Jornadas "La intimidad como espectáculo"
"La familia es lo primero"
En el marco de las Jornadas "La intimidad como espectáculo", la directora de teatro experimental argentina Vivi Tellas charlará con el artista Ignasi Duarte sobre el teatro documental y las posibilidades de la familia como concepto encima de un escenario. La directora de teatro experimental argentina Vivi Tellas charlará con Marc Caellas sobre el teatro documental y las posibilidades de la familia como concepto encima de un escenario. 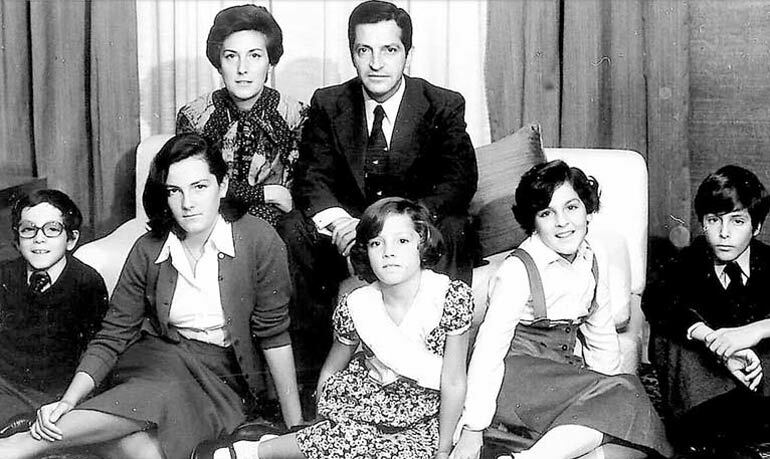 Vivi Tellas es una de las directoras de teatro experimental más reconocidas de Argentina. 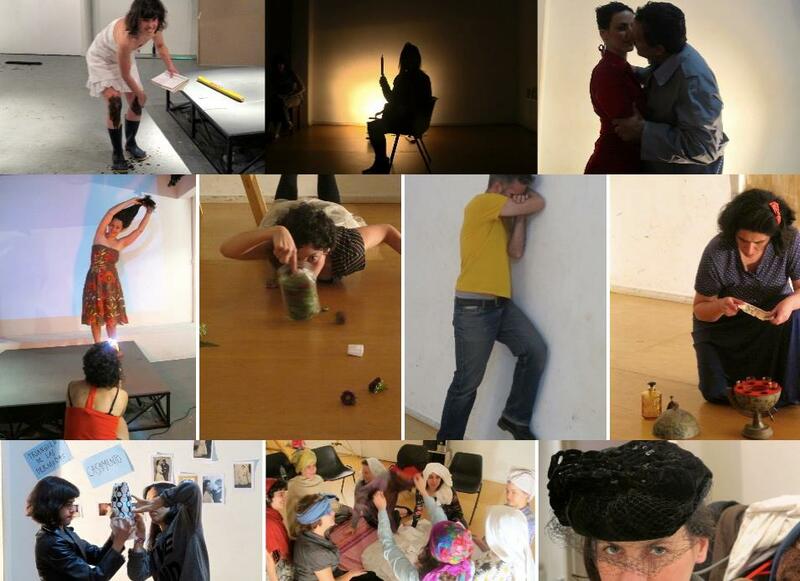 Trabaja desde hace años poniendo al teatro en contacto con otros mundos, rastreando elementos teatrales (la repetición, la presencia, la situación, la mirada de los otros, el texto) en vidas, situaciones o disciplinas exteriores al teatro. Emparentado con el género documental, su teatro no descansa en la representación sino más bien en la presentación de “casos“. Fecha: 24 de marzo de 2011. MAKE is a joint initiative by The Cork Midsummer Festival, Dublin Fringe Festival, Project Arts Centre and Theatre Forum, committed to the generation of new performance work. MAKE is a residential laboratory open to Irish and international participants, where ideas for new theatre and performance works will be developed with the assistance of renowned international theatre artists Vivi Tellas, Gary Winters and Jacob Wren. MAKE has been created for artists looking for time, space and mentorship towards the generation of new theatre and performance projects and is supported under the Arts Council's Artist Development Award scheme. For one week, 15 practitioners will come together at the Tyrone Guthrie Centre, Annnaghmakerrig where there will be an emphasis on creating new work with assistance, mentoring and support, rather than learning specific skills or techniques. Mentorship will be available from three international artists with a wealth of experience in creating new work. Far from promoting a particular method of making performance, they will offer advice and guidance from their experience, without agenda. MAKE is not a training workshop. Artists are free to pursue their own ideas, but the context MAKE offers is one of support and encouragement as well as challenge and critical rigour. Documentary theatre is a form of theatre created from the verbatim use of interviews, photographs and historical proceedings. This book brings together essays, interviews and performance texts, many published here for the first time, which describe and analyse documentary theatre around the world: both its history and its proliferation since 9/11. CAROL MARTIN is Associate Professor of Drama at Tisch School of the Arts, New York University. 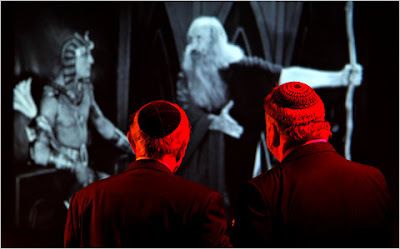 A scene from the multimedia production “Rabbi Rabino,” directed by Vivi Tellas. Fans of contemporary theater have their hands full for the next two weeks. In addition to the Public Theater’s Under the Radar Festival, Performance Space 122 is presenting its annual Coil Festival of multimedia dance and theater performances. Over the next week Erik Piepenburg will be interviewing several theater companies with shows in the festivals. Neither Hyman Levine nor Moses Birnbaum will ever be mistaken for Jackie Mason, but that’s not for lack of trying. The two conservative rabbis from Queens, who know from Jewish jokes, comprise the cast of “Rabbi Rabino,” an irreverent mini-variety show about Judaism and modern identity created by the Argentinian director Vivi Tellas. (The title is the word “rabbi” in both English and Spanish.) 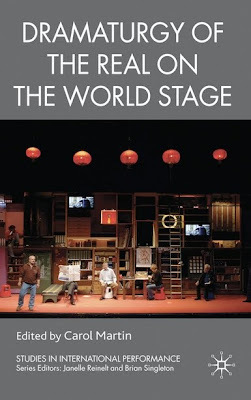 The piece runs through Jan. 15 at Performance Space 122 as part of the 2011 Coil Festival. Ms. Tellas spoke to ArtsBeat about what’s so funny about being Jewish, and how to audition a rabbi. Following are excerpts from the conversation. Q.What is it about Judaism that made you want to create this kind of show? A.I decided to work with rabbis as a way to look for some answers about performers. I’m Jewish but I didn’t have much religious eduction so I’m curious about the world of Judaism. Last year, while working in New York, I found these excellent, sense-of-humor rabbis who have a lot of knowledge about Judaism. I’ve been to services at synogugue, and it’s so much about music and singing. That’s part of this show. The whole mystery of the piece for me is when they pray. The rabbis pray three times a day, and during the show they pray because it’s time for them to pray. My question is: is that praying true? Or is it fiction? Can God listen to you if you pray on stage in a theater piece? A.Each time I see the runthrough I ask the same question. I don’t know yet. We have six nights to see. Will the stage make it more true or more fictional? That’s the most mysterious question. Q.What’s the show like? What do the rabbis do on stage? A.They sing. They tell jokes. They do the voices of Aaron and Moses from the silent movie of “The Ten Commandments.” They re-enact personal stories. At the end we do a little bit from “Cyrano” because Jewish rabbis can fall in love and have families. I’m interested in how love is for a rabbi. They play the shofar at the end. There’s also a buffet at the end that the performers share with the audience, so people can talk to them. People can ask things about what they’ve seen. The performers are not professionals, so they are curious, and need feedback. We’ll have some kosher snacks. Q.How did you choose these specific rabbis to be in your show? 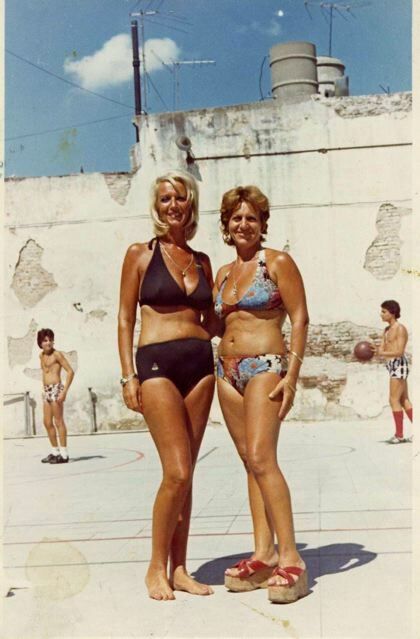 What set them apart? A.Moses said he always wanted to be a standup comedian. Hyman said, well, this is my last thing on earth. He’s 82. He’s saying this is his goodbye or something. He’s OK, but he is talking about his whole life in the course of this show. Q.How do you cast rabbis? Did you hold rabbi auditions? 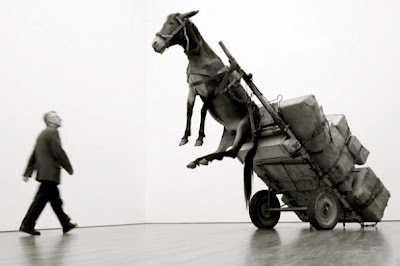 A.A sense of humor is the first test I gave rabbis. I would tell them to tell me Jewish jokes. If they were funny I’d say you can be in my show. “Rabbi Rabino” runs through Jan. 15 at Performance Space 122. More information is at the Coil Festival Web site. Renowned Argentinian director Vivi Tellas "kidnaps reality," placing two Conservative Rabbis onstage to perform their own autobiographies - ranging from jokes to Jewish food to their opinions on Charlton Heston's "The 10 Commandments." 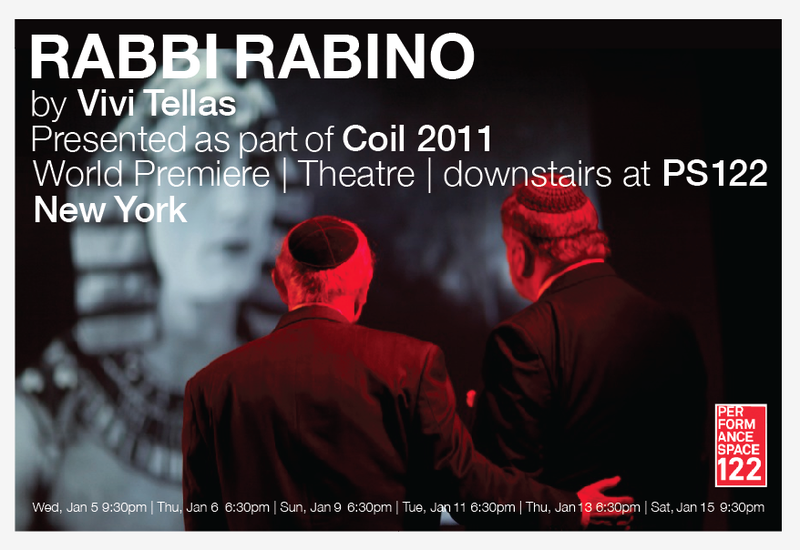 On the threshold where simple reality transforms into performance, RABBI RABINO captures pieces of "theatricality outside the theatre", placing them onstage in a unique context where audiences can connect with "the Rabbi's world" in a whole new way.